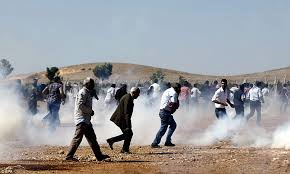 As ISIS armored vehicles move to the outskirts of Kobane, the Turks are tear-gassing the Kurds who want to go back into Syria to help their brethren. Where are the Alliance Jets? 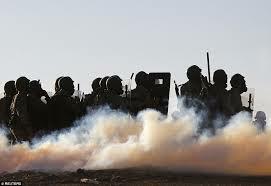 ISIS has been out in the open shelling the citizens of Kobane for a week. 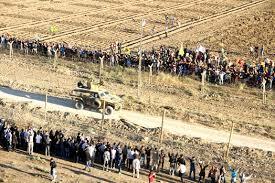 Turkey has tanks lined up, but are not using them to make sure Kobane does fall to ISIS – as promised! Instead, they say they will only go into Syria to protect a shrine and the forty Turks guarding it. Why doesn’t Turkey let the Kurds use their tanks so someone can destroy these monsters guilty of war crimes?